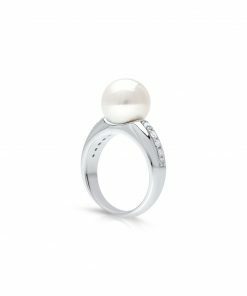 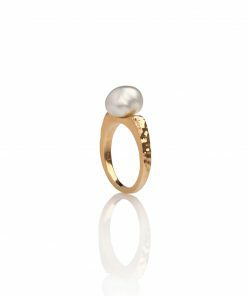 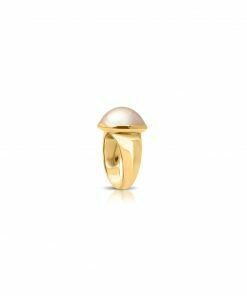 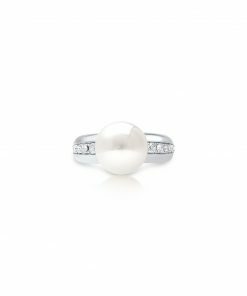 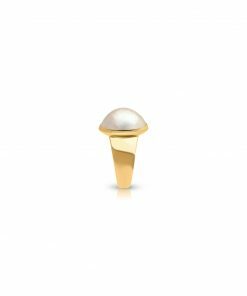 This amazing South Sea Pearl Spinifex Ring features a lustrous 11mm round pearl from Cygnet Bay. 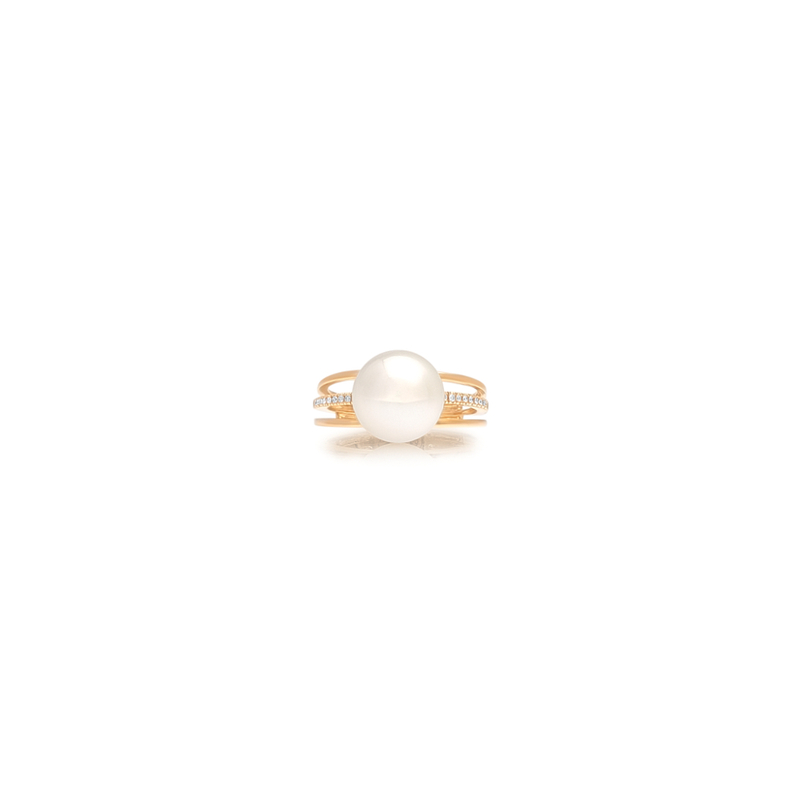 Set in among a row of micro claw set diamonds on a split band in 9ct yellow gold you will be sure to love this ring. 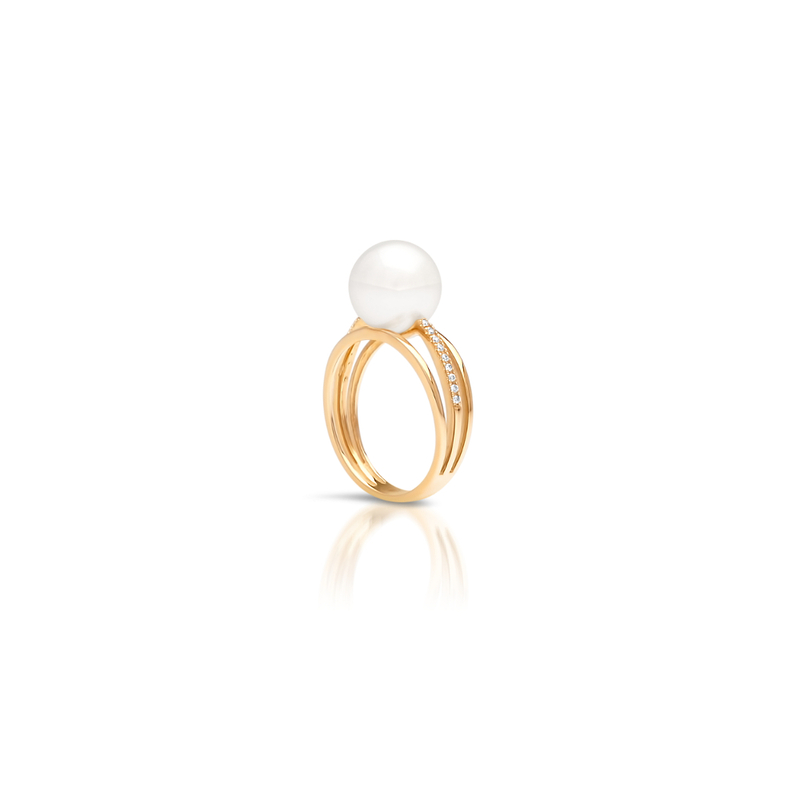 9ct White gold and rose gold variations of this ring are also available.